I wanted to let you know about an absolutely FREE, LIVE *webinar* I’m holding this week called: “Next Generation Mini-Site Strategies v2.0”. If you’re sick and tired of cold prospecting and spending hours on the phone calling ‘duds’, or if you’re just tired of the outdated “traditional” ways of chasing down prospects all with only the HOPE you’ll get a sale or build your business, this is something you won’t want to miss. It’s happening THIS Thursday, July 31, 2008 at 7:00pm (ET) exclusively for my valued customers and subscribers. On this breakthrough free event you’ll discover…. Properly applied, the strategies revealed during this event will help you to set up an AUTOPILOT mini-site business that brings you a never-ending flow of FRESH LEADS *and* paying customers, and will show you exactly what it takes to set up a 6-figure (even 7-figure!) online business. We only have 250 spots for this event (and 2 are already taken by my special guest and me). That means there are *only* 248 spots left. So there’s a very good chance this will be completely SOLD OUT. Since there’s zero cost for this one-time-only event, I expect this will be completely booked in no time flat. P.S. – No one else is teaching these step-by-step eye-opening methods… so if you’ve ever wanted to use the Internet and mini-sites to create your dream business, this is one free event you don’t want to miss! Will This Add $6k to Your Business, Too? Back in early 2004, I attended an event in Orlando called the “Triple Your Profits” workshop. It was a small, SOLD OUT 3-day program taught entirely by an underground force in the marketing world who finally came out into the spotlight. The content was so good that on the breaks, I would rush up to my room to implement what I was learning. From several key ideas I picked up, my entire business changed (practically overnight). Almost immediately, I increased profits from PPC marketing by an additional $500+ month (which kept going up and up! )…that’s over $6k more net every year! From new traffic methods to new business systems that allowed me to automate much more of my life…my online company and projects went to the next level as a direct result of the workshop. A few months later, the recordings from the event were reworked into a “home study” version and thousands of copies were sold online teaching people an A-to-Z system for pummeling your website and business with online traffic. All based on that one-time event in 2004. Then the course was taken off the market, as some of the methods needed to be dusted off, reworked and updated. Well, after a LONG wait, the new “2.0” version of this groundbreaking program is being released tomorrow, 7/15. And it’s being done in a way that virtually EVERYONE can get access to it (FORGET the big $2,000 packages all the ‘gurus’ are pushing these days!). As part of the preview series leading up to this relaunch, the ‘former unknown’ marketer has posted some awesome free videos online sharing several killer traffic strategies and business growth tips for your business. You’ll also get a big kick out of the production values on these videos. The first 60 seconds alone will definitely “WOW” you! Plus you’re sure to pick up some great new ways to bring prospects and leads into your business. Be sure to check them out right away while you still can! P.S. — You know, with a new promotion happening online every week, I’m very careful who I endorse. In fact, 95% of the launches get a big “NO” from me for one reason or another…and you’ll never hear a peep from me about them. However, this time, I felt obligated to let you know about these new FREE videos and inexpensive system. Not only because I’ve seen the new version myself, but because I was there at the beginning of this training system (yes, I paid for it! )…and experienced *REAL* RESULTS in my business because of it. That means I can give my honest, heartfelt endorsement knowing first-hand the impact this can have for you. And then tomorrow, get ready to rock and roll with v2.0! This is something I think you’ll definitely want in your marketing education libary. I’m sure you can agree — 2008 has been crazy so far! In the last 6-8 weeks alone, my inbox has been stuffed with email after email with all kinds of promotions for those big Internet marketing mega-launches. Now I’m sure all those guys probably made a million bucks with their launches. What’s the ‘little guy’ supposed to do? You know, the regular “non-guru” who doesn’t have a bunch of friends to mail for him? Can just plain regular folks win with these kinds of launches online? That’s why I wanted to share this “weird” video with you today. It’s pretty short, and this will give you the FINAL answer on the ‘regular folks’ question. Click here to go watch the video now. But before you go…one more thing: You don’t need to enter your email address to see the video – it’s totally free. However make sure that you do enter your email address anyway — because the follow-up case study and *action steps* are going to be even wilder than this first video. P.S. — The idea of “food stamps to six figures” is cool…but that’s just one of the amazing non-guru case studies. 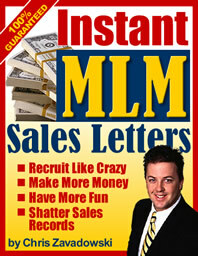 You’ll also discover how a tiny list of 312 people can generate more than five figures and a few other surprises. Go watch it now – click here.